Where and When does the Blue Ridge Grotto Meet? The Blue Ridge Grotto meets on the third Friday of every month. Dinner and/or appetizers and socializing starts at 6:30pm with the actual meeting starting soon after food is served. Grotto trips are usually the Saturday after the grotto meeting. Sometimes they are on Sunday. Jersey Lily's Roadhouse is across Electric Rd/Rt. 419 from Lewis Gale Hospital. Click here for a link to Google Map location. 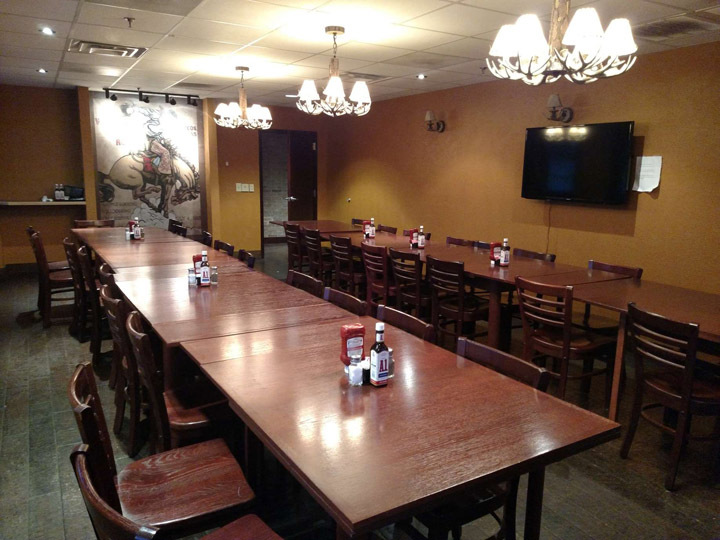 Terms: This is a restaurant; in return for the use of the reserved banquet room with TV, they expect a minimum of 8 people, and with folks ordering dinner, drinks, or appetizers. Our meeting time has been adjusted so people can show up and have dinner before/during the meeting. Thanks to Marian McConnell who arranged all of this! 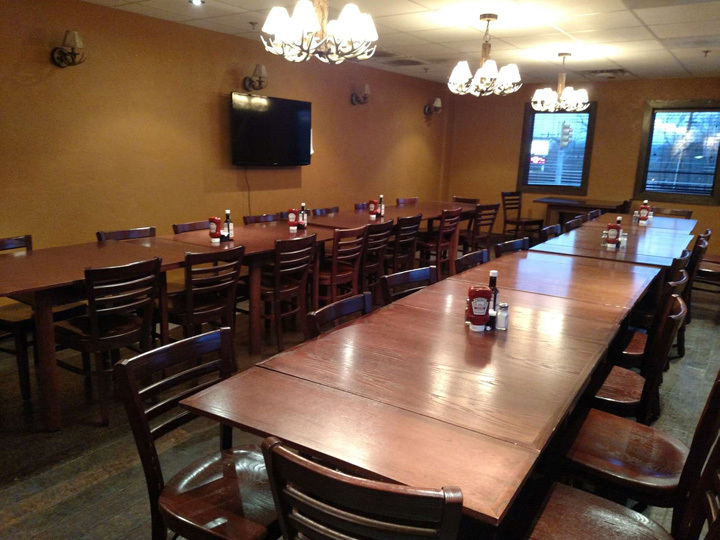 I think you will agree, the banquet room is much roomier than someone's living room.